Euro City Casino offers its exciting Casino in an Instant Play (no download) version. 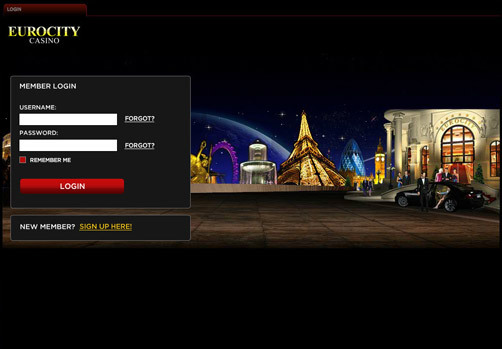 If you do not have a Euro City Casino account, please press the “Sign Up Here” link on the login page. 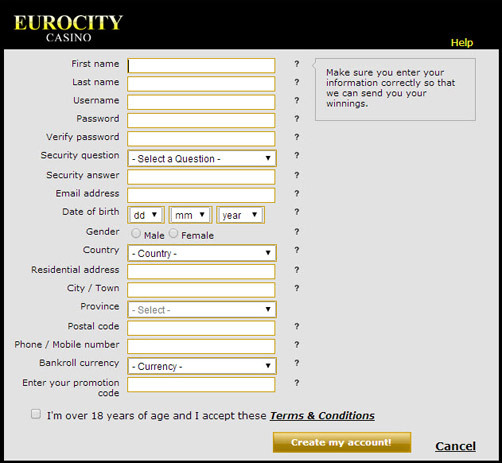 After registering, you will receive an automatic email from Euro City Casino with your username and password. Please save this email for your records. 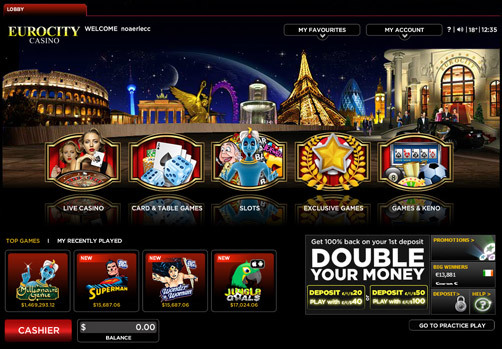 Once you log in to Euro City Casino you’ll be taken to the casino’s lobby. Click on the “Cashier” button to make a deposit in your new Euro City Casino account. Once you’ve deposited, select any of Euro City Casino's exciting games and let the good times roll! In order to log out, please use the “Log Out” button under the My Account menu. Don’t forget to add a desktop shortcut for quick access to Euro City Casino in the future!